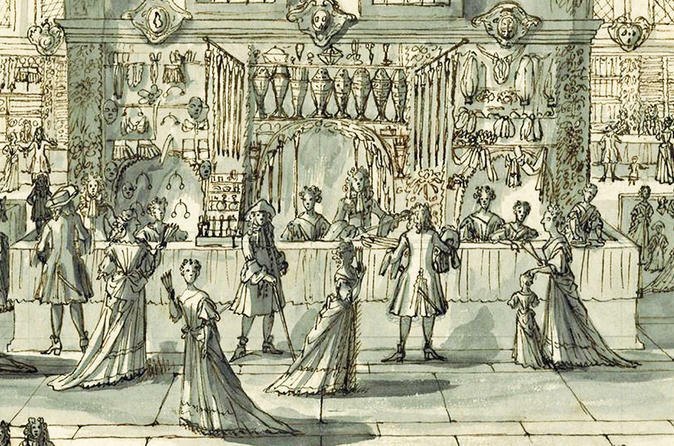 This exhibition Paris in display: 18th-Century Boutiques invites everyone to visit the City of Light as it was in the 18th century and explore the boutiques in three districts of Paris known for their commercial bustle: la Cité, la Ville and l’Université. This Spring, take a unique journey to the prestigious capital of France to explore the finest Parisian boutiques of the 18th century. Discover nearly 400 French artefacts from the Stewart Museum collection, one of the most important of its kind in Quebec, that reflect the commercial practices, quality of merchandise and scientific instruments of that period. With the help of a guidebook, stroll in three main districts of the period: La Cité, La Ville, and L’Université. At the end of your visit, immerse yourself in the heart of historic Paris with a creative virtual reality experience.